Head out with all-weather readiness in the Saltwater Shiny Quilted, our most popular wet-weather boot with a waterproof rubber shell, updated with a soft and flexible quilted upper with a chic sheen. A microfleece lining adds warmth, and a traction-packed outsole features rubber lugs with Wave-Siping . Rawhide laces can be pulled tight for a secure fit. 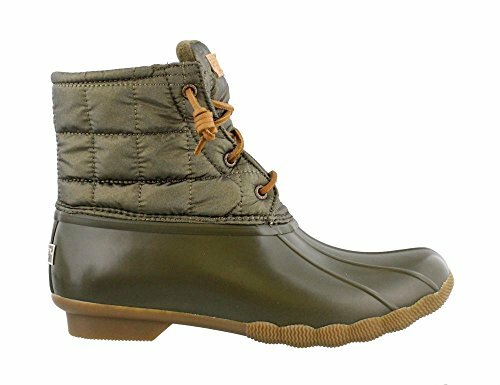 Enjoy this duck inspired boot when the weather gets wet!